For quite some time now, society has told us things need to be bigger, better, and faster (and it still does, to some extent). However, over the past several years, the pendulum has been swinging back–back to nature, back to quality over quantity, and back to a simpler time. The evidence is all around us. Quality, vintage ‘mom jeans’ from the 80s; classic VW ‘hippie’ buses, and the desire get away from the hustle and bustle. Think about it. Likely either you or someone you know has transformed their vehicle into a tiny, rolling home–and people are loving it. Pop culture is loving it. Fashion is loving it. But these are also things that people who actually live this way don’t care about. This is a way of living that defies social stigma and encourages the movers, thinkers, and makers to live their best life. Before we go into the benefits, let’s take a closer look at what tiny living really is. While living tiny often refers to living in a tiny house–it can actually refer to all sorts of micro-living. First of all, a tiny house is typically no more than 400 square feet and can be on wheels or built on a foundation. The concept of tiny living can be expanded even further to include converted vans and buses. This way of living focuses less on “stuff,” and more on what really matters in life. Let’s take a look at some of the major benefits of tiny living! New job across the country? No problem. When you can bring your entire home and everything you own with you, moving to a new place isn’t as daunting. With a tiny home on wheels, you have the freedom to wake up to a new view each and every day if you choose. A tiny home also allows for more financial freedom to travel and do other things that are important to you. The average cost of a residential home in the United States today will set you back $200,000. On the flip side, a tiny home costs anywhere between $10,000 – $80,000 depending on how much work you do yourself. Your energy bills will also be a lot lower than in a residential home–less consumption means more savings! Another huge plus is that Instead of paying a mortgage, you can use the money on your next roadtrip! A lack of square footage means less you have to clean or worry about decorating! Tiny homeowners often choose tiny living so they can focus more on what makes them happy–be that hiking, surfing, or spending quality time with loved ones. No time to clean when there are adventures to be had! Tiny living opens the door for an environmentally-conscious way of life. Lower consumption rates are good for your wallet and great for the environment. For starters, a smaller space means less energy is used to heat or cool. Many space-saving appliances are also eco-friendly or built for going off-grid. For example, a composting toilet designed for a boat with no access to running water is the perfect ‘green solution’ for a tiny house on wheels. It’s also easier to leave a smaller environmental footprint when the reduction of clutter becomes necessary. You’ll think twice before buying products or food that comes in heavy packaging if you have to take your trash to the dump yourself! Spend Quality Time With The People You Care About. The reality of tiny living is that you’re going to see a lot of whoever you’re living with. While it can be challenging at times, living in a small space can also be a huge positive in your relationships. Should a disagreement arise, you’ll find that the smaller space encourages conversation rather than avoidance. There are no separate rooms to hide in, so you might as well speak to your loved one! Entertaining friends and family is also possible in a tiny home. It’s like hanging out with friends in your treehouse as a kid–it’s the same excitement of having people over in your own little corner of the world.You may not have much elbow room, but the natural intimacy a small space brings is undeniably beautiful. Less space, less stuff, less worry! While tiny living isn’t for everyone, it certainly is the ideal living situation for many people today. You might be asking yourself, will the pendulum swing back? Will tiny living go out of style? Tiny living isn’t about making a fashion statement. Sure, it’s in the spotlight now more than ever before–but it’s also not going anywhere any time soon. The earth has a finite amount of space. Add in rising housing prices along with an increasing population, and you’ve got a real problem. Tiny living could be part of the answer to this growing issue. In fact, tiny house communities are growing in popularity as a result of this very scenario. The way that it’s going, tiny living could be the future of modern day living. Just a small space with everything you need and nothing that you don’t–what could be better than that? For more information on tiny living, check out these tiny house statistics! You made a great point when you said that a tiny home gives you more time, as you have less space to clean. 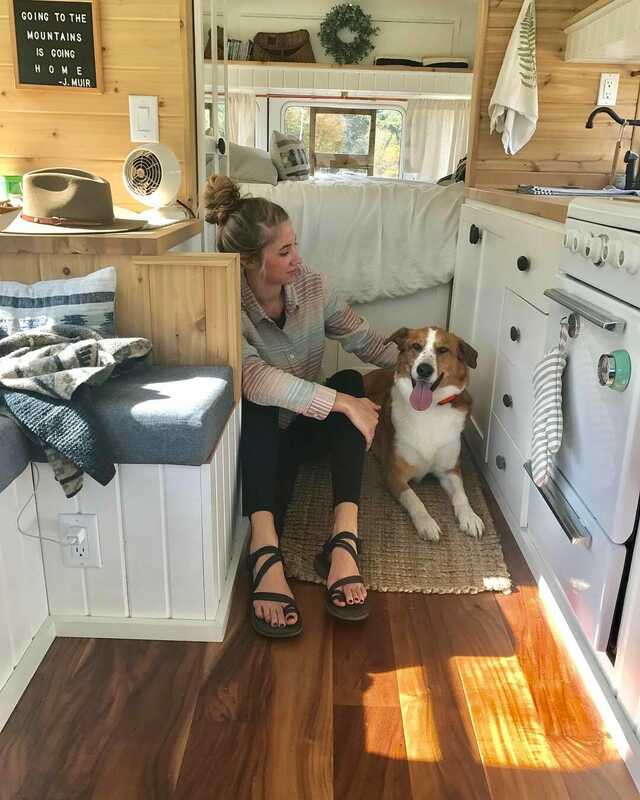 I’ve actually been thinking of getting a tiny home and living in it with my friend, as I really don’t see the point in having a big, empty space to live in. Thanks for sharing this great article on the benefits of small houses.